Who knew getting Alec a fish tank for his birthday would lead to so many great learning opportunities? I knew pets were great for kids. I even knew they were educational. I just never really thought about just how much we'd learn by getting some fish! My boys have always wanted more pets and Alec in particular has been begging for something he could keep in his room and have a pet of his own. After looking at all our options we chose fish; thinking they would be fairly cheap and easy. All set and we're just waiting 24 hours to get some fish in it! I love this post! 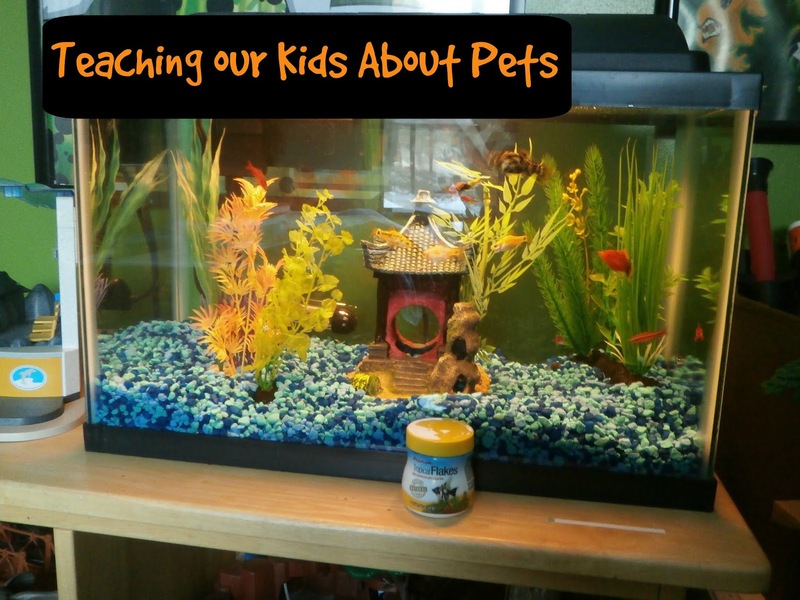 It's so important to teach kids about pets rather than just get them one! Will Pin this post even if I have to create a new category for it.